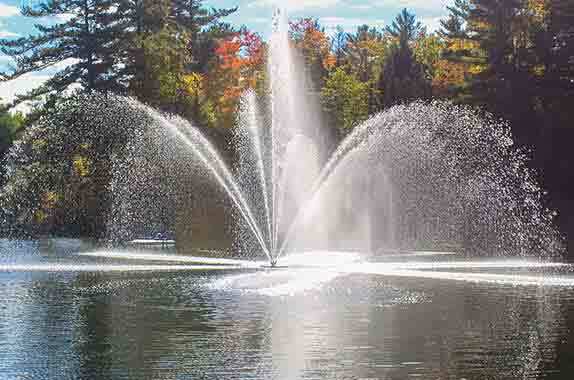 LED light kits are the perfect addition to any floating fountain or floating aerator. Our LEDs use light very effectively, with the highest performance factor—they provide optimum colour rendering while saving you energy costs! Enjoy your Fountain or Aerator into the evening hours to spectacular effect with LED lighting. They are simple to install, easy to maintain and reliable. White or colored lights will add a dramatic appearance and extend the enjoyment of your fountain or aerator into the evening hours.